2013 to present Privet piano instruction as self employed. 2000-2006 Secondary Education Music School substitute piano teacher and ensemble teacher. Renaissance to late baroque fugue writing). Education Ministry of Greek Education, Athens Greece. Sibelius, Nuendo, Cubase, Studio Recording & Sound Engineer – Productions. 2012-2013 Composed soundtracks for Astral Record Label. To cover songs – soundtracks and in huge range of Genre from pop rock to classical. • My classical symphonic composition performed by Gruppetto Quartet in Athens College in Greece. • 2016 till present, composing & producing music for IRIDA Art Group and for the play “One Italian in Kypseli” directed by Greg Terzakis. • 2015 New Year Eve event, Performance with GR- Echo opening the stage for Greek celebrity. • August 25 – 2013, C.B.C. Glenn Gould Studio performance, piano solo recital and accompanied opera singers as member of the “Toronto, ON – Artist International Music & Dance Association (AIMDA)”. • 2007 & 2008 Performance as launch pianist in Skithos’ Greek island hotels for the summer season. • Performance with the Estoudiantina Choir – by Dalaras & Glikeria “Dedicated to Mikra Asia” (Athens Greece Ancient Theater Irodotou Attikou below Acropolis). 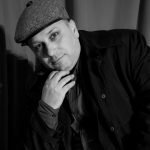 • Performances as pianist and keyboard-synth player with several music bands and pop artists at many places in Greece. • Performance on Piano for Juno mission conference organized by the Vangelis Foundation for Research, Music and Science, with participants from the Jet Propulsion Laboratory of NASA and the composer Vangelis Papathanasiou. • As keyboardist & pianist, performing from age 14 with many groups and later on his life with some celebrities.